A key economic indicator I always watch are the airport passenger numbers. As we are the service center for the Central and Northern BC, its a great indicator of the how much activity is going on in the region. 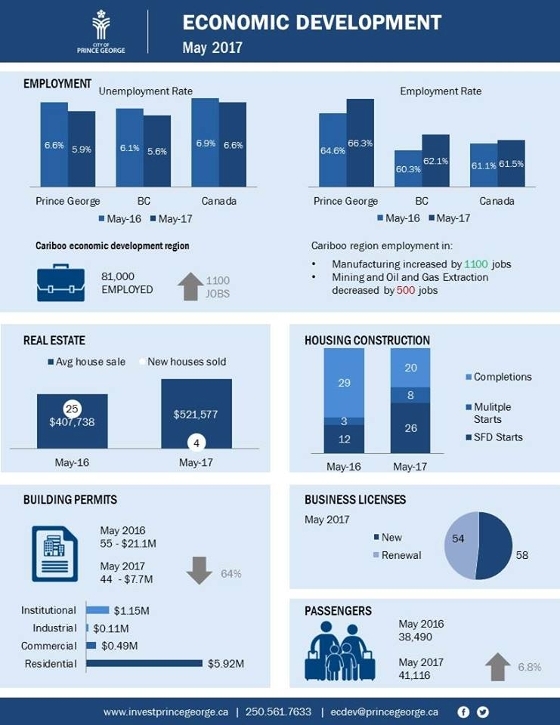 Numbers for May are up 6.8% over last year and that follows growth of 9% in April and 5.5% in March. Those are very encouraging signs for our economy.